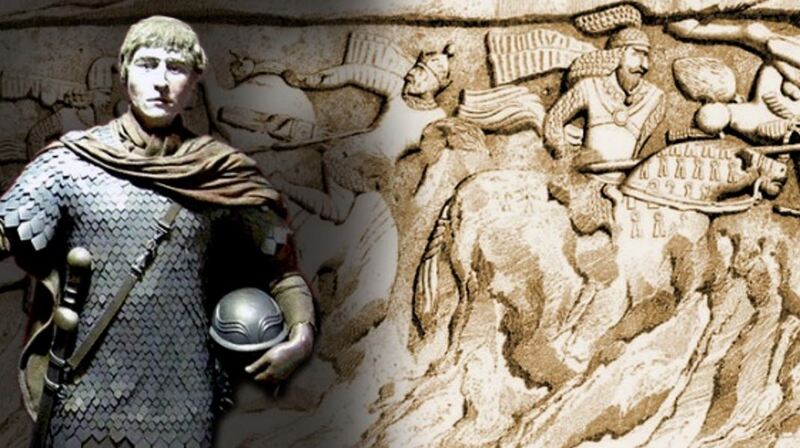 Ancient Roman invasion forces were considered to be unstoppable juggernauts, but the tables were turned by a formidable Parthian Empire general and devastating tactics. This clash led to one of the most crushing defeats in Roman history. Leading the Romans was Marcus Licinius Crassus, who was a member of the First Triumvirate and the wealthiest man in Rome. He, like many before him, had been enticed by the prospect of riches and military glory and so decided to invade Parthia. Leading the Parthians was Surena. Very little is known of his background. What is known is that was a Parthian general from the House of Suren. The House of Suren was located in Sistan. Sistan, or Sakastan, “land of the Sakas,” located in what is today southeast Iran. In 56 BC, Julius Caesar invited Marcus Licinius Crassus and Gnaeus Pompeius Magnus to Luca in Cisalpine Gaul (Luca is the modern day city of Lucca in Italy). Caesar requested that they meet to repair their strained relationship, which had been established around 60 BC and was kept secret from the Senate for some time. During this event, a crowd of 100 or more senators showed up to petition for their sovereign patronage. The men cast lots and chose which areas to govern. Caesar got what he wanted, Gaul; Pompey obtained Spain; and Crassus received Syria. All of this became official when Pompey and Crassus were elected as consuls in 55 BC.